London, UK (BBN)-Dosing farm animals with antibiotics increases greenhouse gas emissions from cow dung, research suggests. Scientists say the drugs boost methane production in cowpats – apparently by favouring antibiotic-resistant, methane-producing organisms in the gut, reports BBC. Antibiotics also change the microbes which inhabit dung beetles, although apparently with no adverse effects. The researchers say it’s proof that antibiotic use on farms has unintended, cascading effects on the environment. For the new paper, in Proceedings of the Royal Society B, researchers followed the trail of antibiotics in cattle and discovered, perhaps unsurprisingly, that said trail did not stop at the cow’s rear end. The antibiotics changed the microbes in the digestive system of dung beetles, which are vital for cycling carbon and improving soil. The beetles, though, did not appear to be damaged. By contrast, clear harm was measured in the antibiotic-contaminated cowpats themselves, which produced 1.8 times more methane – a powerful greenhouse gas. 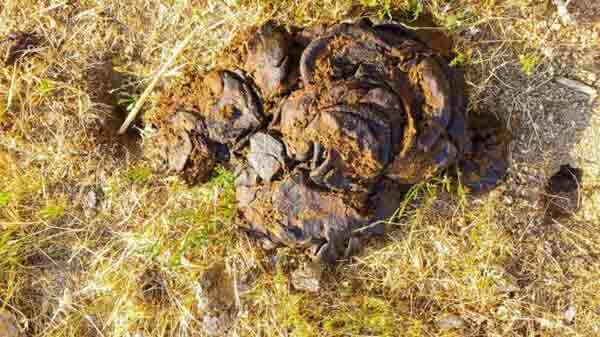 This was a surprise, as previous studies have found little or no impact on the dung. One of the authors, Tobin Hammer from the University of Colorado, told BBC News that some key research questions remained unanswered. He said: “Most methane generated by cattle is actually released as burps, and we think that antibiotics are likely to increase burped methane as well – but in this study we weren’t able to measure that directly. “A second unknown is how generalisable the findings are, across different types of antibiotics. Prof Tim Morris, from the University of Nottingham School of Veterinary Medicine and Science, commented: “Antibiotic misuse needs curbing for many reasons, and the findings in this paper are important where the drugs are being misused. So for now, the paper is a curiosity rather than a bombshell – although it may be another knock for farmers, who have been blamed recently for fuelling antibiotic resistance in humans, increasing air pollution, and fuelling climate change.